WAI stands for Wellness, Aesthetic and Indulgence. Wellness refers to one's health and well-being, while aesthetics simply means beauty. Indulgence is the gratification of desire where the mental or emotional state is characterised by confidence and happiness. We hold strong to the belief that wellness and aesthetics can change your life by bringing out your self confidence. To provide quality, professional, personalised as well as cost-effective aesthetics and wellness care to all. To improve your life through our aesthetics and wellness care, which will boost your self confidence. Feeling good about yourself is important. When happiness and fulfillment are within your grasp, you will feel more positive in all aspects of your life. Wai Clinic is dedicated to enhancing your beauty with our knowledge in the field of aesthetics. Our specialty in aesthetics medicine focuses on improving your appearance through the treatment of skin problems and aesthetic services that will enhance your looks, targeting issues such as pigmentation and wrinkles. We also provide comprehensive services for you, from anti-aging to weight management, hair remedy, as well as facials to rejuvenate your skin. Treatments are non-surgical, applying minimally to non-invasive procedures, with minimal downtime to suit your busy lifestyle. We offer health, dermatology or skin treatments, aesthetics medicines, weight management and hair remedies. Ultimately, we want to bring out the natural beauty in you. Wai Clinic is committed to providing personalised care for you, as every individual is unique. All services and treatments are individually tailored, taking account of your problems, concerns and needs. We are passionate in our work and we will share our most frank and professional views with you. We believe that communication is important, and we strive to understand you to provide you the best services. 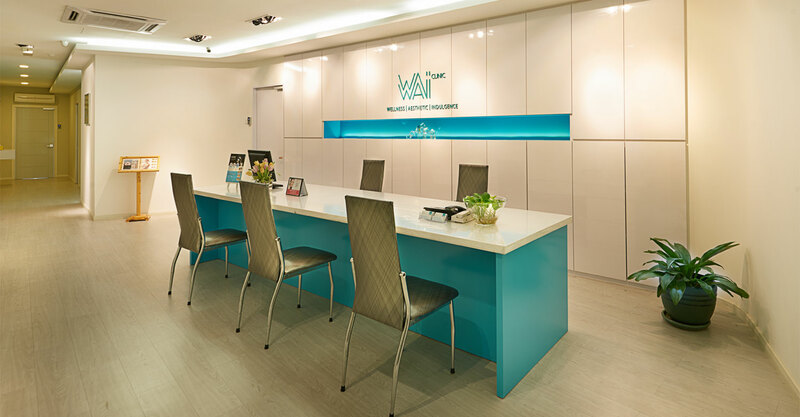 Wai Clinic strives to provide you with a pleasant experience throughout your care and treatment. Rest assured that all treatments at Wai Clinic are safe and effective. We take all reasonable steps to ensure your health and safety and we want to prevent any risks that may arise during care and treatment. You will be treated with professional care. Our team of doctors and providers are qualified and competent. We have the skills and experience to look after you, and will ensure that you leave Clinic Wai glowing with confidence, looking and feeling great. 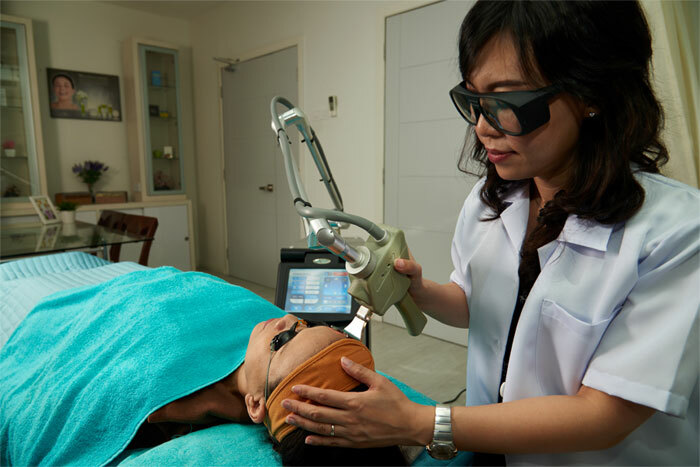 All laser treatments and injections, for example, will only be performed by trained doctors. You can expect a personalised treatment as we cater to your individual needs. We are here to provide targeted solutions for your beauty woes and aesthetics problems to improve your overall well-being. Our aesthetics products and services are of high quality to ensure your satisfaction.